El Paso Water has adopted stewardship as a core value. We have an important role to preserve and protect our lands and water natural resources. In addition to highlights below, go to our sections on Water Resources and Conservation. El Paso Water manages thousands of acres of land in El Paso County as well as water rights for those acres. EPWater periodically sells land not needed for facilities or watershed management, but we need both land and water to ensure smart and sustainable growth. We purchase open space with a stormwater function to decrease the flood risk, and we partner with the City and non-profits to provide more recreational opportunities by granting the use of our lands for trailhead sites. In 2012, El Paso Water acquired the 372-acre Rio Bosque Wetlands Park, and through a partnership with the University of Texas at El Paso, the once-dry park is flourishing. A pipeline from the nearby Roberto Bustamante plantp rovides treated wastewater for irrigation from May through September. Recently secured Rio Grande water rights add an additional source of water. Native vegetation is now thriving in flooded wetland cells and along the river channel and the wildlife population has increased. El Paso Water partnered with Frontera Land Alliance to repair the damaged nature preserve at the Resler Canyon arroyo. 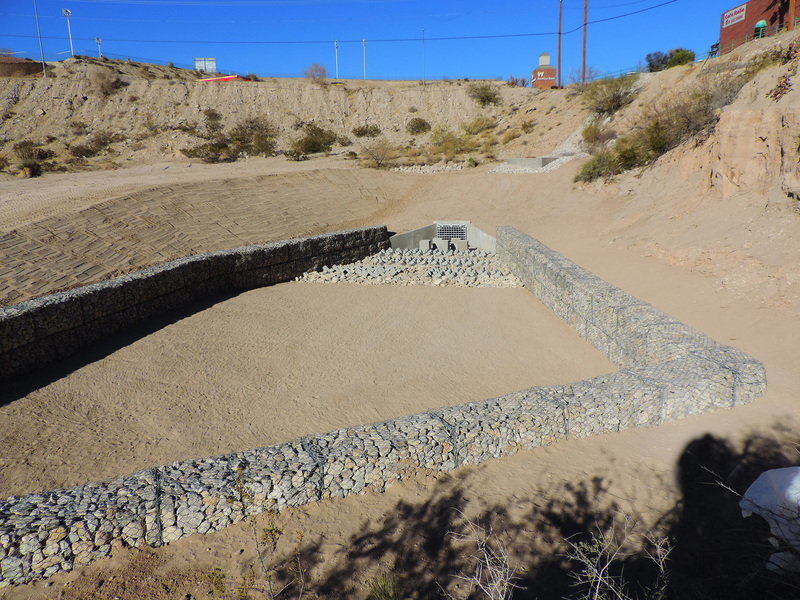 El Paso Water installed a new outfall structure and re-stabilized runoff to flow smoothly while reducing erosion. The preserve is now open to the public for walking and wildlife and plant observation. Franklin Mountains State Park ranks as the largest urban wilderness park in the continental United States, due – in part – to El Paso Water’s transfer of 12,000 acres (about half the park’s total acreage) to Texas parks and Wildlife. EPWater is proud of its role in helping create this special place where current and future generations are able to enjoy the beauty of the Franklin Mountains.